Kirsten is a Dutch author who wrote fan fiction in both English and Dutch over a period of around 10 years. I have the utmost respect for people who can write in more than one language when some of us can’t even write a decent story in one. Apart from adding a few links to make navigation easier an a minor name change, it was remarkably intact so little else needed doing. 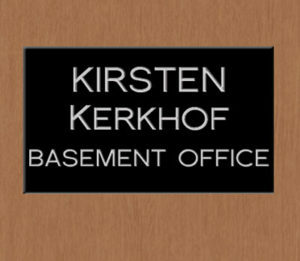 The site was originally just called The Basement Office but since there are a few of those around we’ve added her name to the beginning to distinguish it from the others. There are also a number of stories written after the site shut down, so we’ve managed to contact her and we’ll be adding the extra stories to her page soon. Kirsten is the first author to appear in The Afterglow, a subdomain where all the smaller author sites can hang out together.